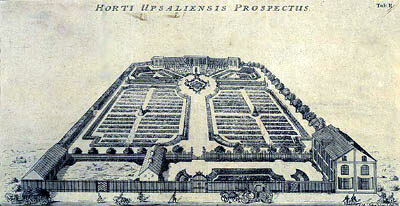 The Botanical Garden restored according to Linnaeus’ plan from 1745. Linnaeus’ country house, a farm close to Uppsala. Another one of Linnaeus’ farms. Linnaeus is buried in Uppsala Cathedral. With the Linnaean laurel trees and the Linnaeanum.